» Why you should wash your car? Besides making your car look pretty nifty, regular washes and waxes are important to keeping your vehicle’s body healthy. Waxing the car isn’t just for dad when he’s bored on a Sunday. It’s a very important part of the process. Skipping it is like not using toothpaste when you brush, but we’ll get to that in a bit. First let’s talk about why those washes are so important. Your car’s body picks up a lot of dust and grime while driving. Anyone who drives a dark car can tell you that. All of that grim slowly chips away at your vehicle’s paint, exposing the sheet metal beneath. Winter is especially rough on your vehicle’s exterior. Though salt is great at melting the ice on the road, those same properties make quick work of your exterior. So what’s a driver to do? 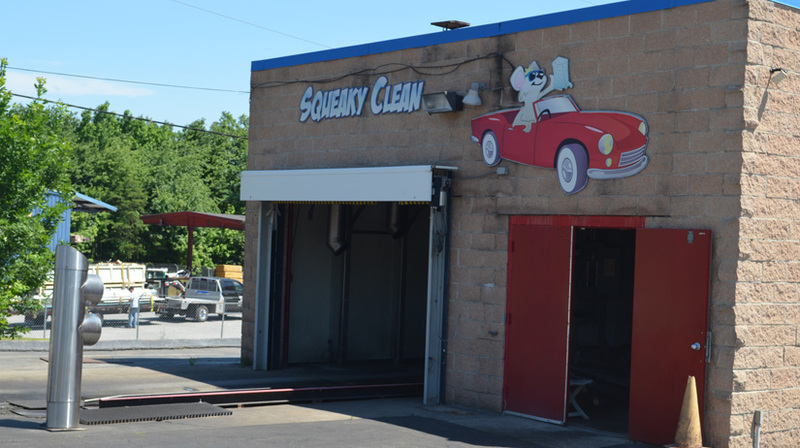 You guessed it: car washes. So where does the wax come in? Wax acts as a protective layer once your car’s body is clean. It works to prevent debris from making contact with your paint, including that wicked bugger salt. UV rays from the sun are also harmful to your paint. Wax helps to block out a good part of this harmful radiation. Don’t use dish soap to suds up your ride. It’s much too abrasive. Get a special car cleaner. Use micro-fiber rags when waxing. They get the job done well. If you have a wax coat that’s still on your vehicle, all it takes is a nice rinse with the hose to get the mud off. No soap needed!